To promote the newest Crizal transition lenses, Centaur worked with client, Essilor, to produce the country’s first outdoor movie & music event. 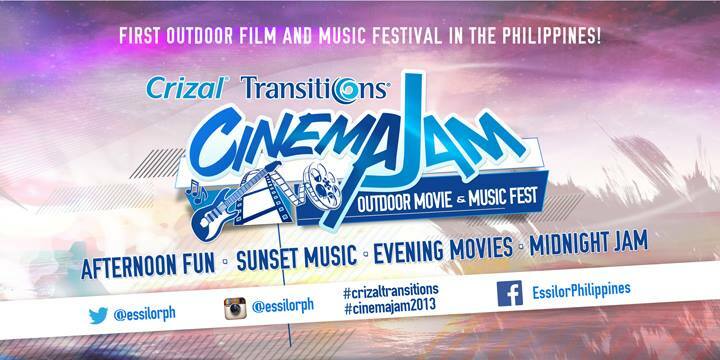 Cinema Jam was the first event held at Circuit Makati and featured outdoor activities (skateboarding, trampoline, wall climbing, etc.) along with great music by local bands Bamboo, Callalily, ItchyWorms, Gracenote & Moonstar88. As day transitioned into night, a giant movie screen appeared and used to play classic hits. Centaur produced a mini-press conference two months prior to the event in Aracama restaurant and invited local media/bloggers to drive ticket sales white also raising brand awareness about Crizal transition lenses. Centaur Marketing’s efforts yielded over 160+ pre-event & post-event features by traditional PR news outlets, tabloids & bloggers for a combined PHP8.5 million+ in PR Value. In addition, we engaged Social Media Influencers who helped to promote Cinema Jam and also attended on the day of the event. In total, we obtained Over 100 social media posts across Facebook, Twitter & Instagram for a combined follower reach of 8 million+.